Because truffles are rare in the U.S. I had my fill while in Piemonte. We were there in June, well before truffle season which begins in August, so I didn’t see any white truffles for which Piemonte is noted. 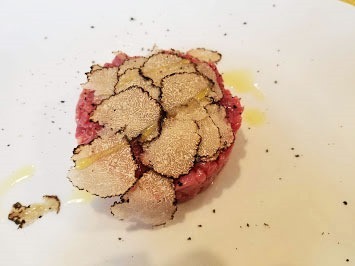 But the more common black truffles were ubiquitous and affordable, available even in the less expensive, family style restaurants called osteria where they are typically shaved over tagliolini. This crudo covered with truffles which I discovered in the village of Barolo was a standout. Some of the meat dishes were unbelievably simple–veal shank or a beef steak, undressed with a bit of salt, a perfect foil for their tannic, earthy Nebbiolo. In the more expensive restaurants the veal was spruced up in a Barolo sauce and served on a polenta cake. 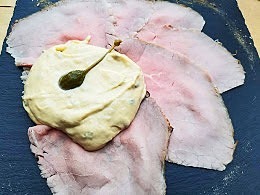 Although it is so common as to be a cliché, I always marvel at vitiello tonnato which originated in Piemonte. Thin slices of veal served cold and smothered in a creamy sauce flavored with tuna. It is an odd creation—a tuna flavored condiment for meat—but certainly distinctive and refreshing on a hot day. 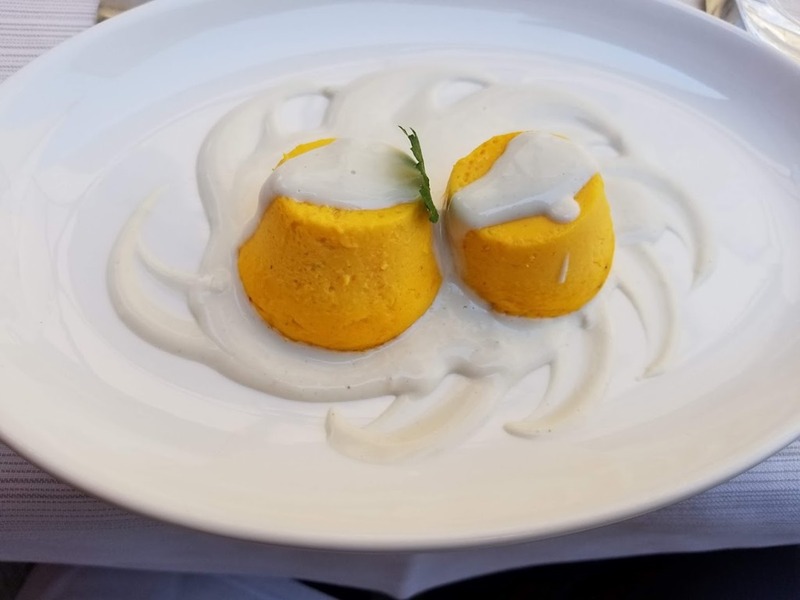 Our splurge meal in Piemonte was at Ristorante Felicin in Monforte d’Alba, serving traditional Piemonte dishes with a bit more complexity. I enjoyed a tasting menu consisting of a beautiful, cold, fresh tomato soup with chic peas, capers, olives and basil, a fish potato cake with tapenade and onion marmalade, a tart of prosciutto cheese and zucchini, flat angel-hair pasta with tomato and parmesan, and braised goat with asparagus. But two food highlights stand out. On our private tour of Barolo we had lunch with an artisan cheese producer Silvio Pistone who supports his family by making cheese for 7 restaurants, a few private, local customers and the tours that have become a regular part of his business. A former tile maker, he’s been making cheese for 21 years. To make great cheese Silvio said “it’s very important to talk to the old people” who started these traditions, traditions that are dying as fewer cheese makers are continuing to make the styles of cheese in which Silvio specializes. You also have to “know the sheep, they are the most important thing, Silvio remarks.” Despite the importance of tradition, Silvio is perpetually experimenting with various aging vessels and environments. 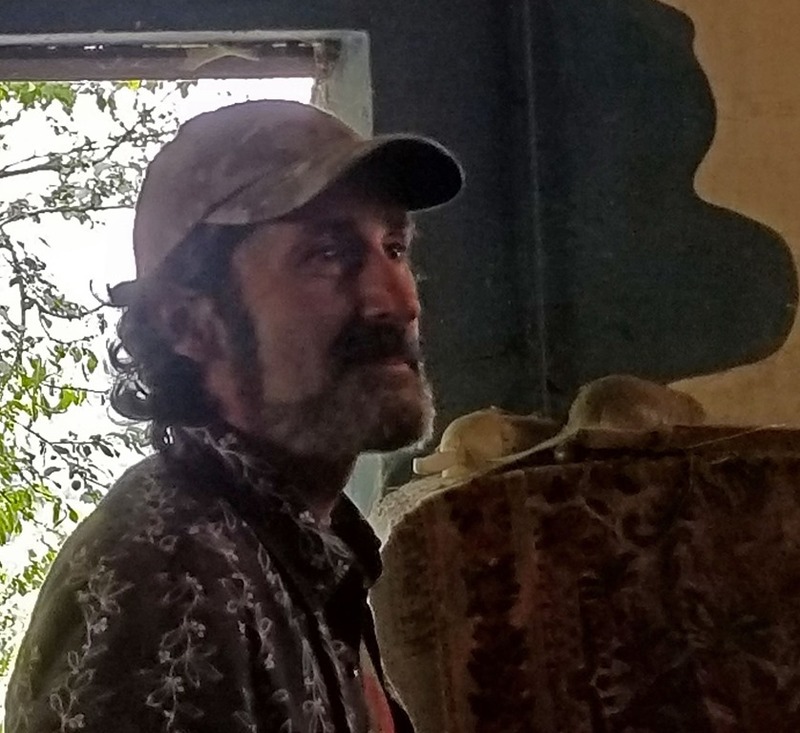 We met Silvio in his home, and he then escorted us into an adjoining barn where the real stars of cheesemaking reside when they’re not outside foraging for grass in the field. 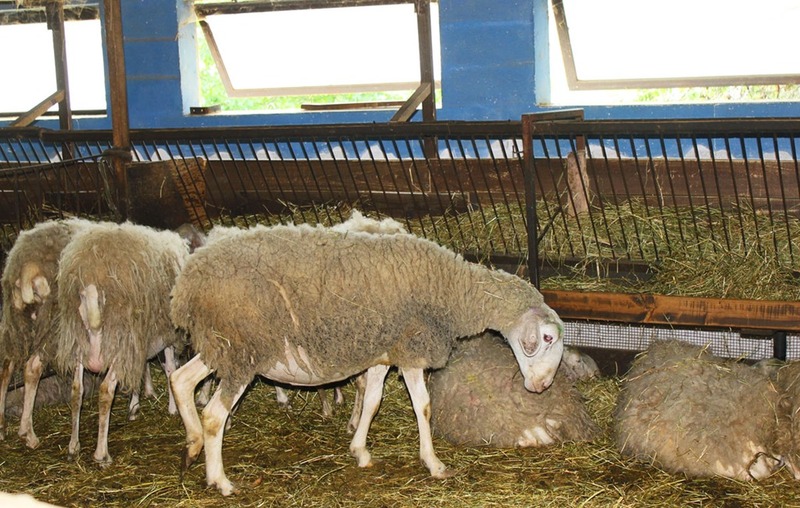 Silvio is one of the rare producers who still makes cheese exclusively from sheep’s milk. The first cheese we tasted was a rare, traditional cheese called Giuncà, a raw cheese with no salt made from fresh curds. It was soft and tender with a delicate milk flavor, designed to be consumed within a day or so. We then tasted several tuma cheeses with increasing age, 2 days, 6 days, and 12 days as the cheeses became more dense with more intense flavors. 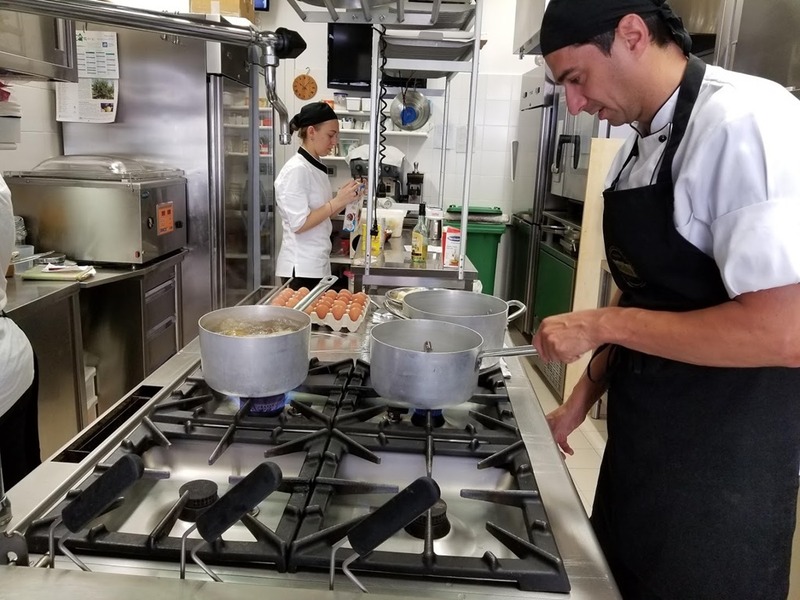 The second highlight was a cooking class with Chef Luca at l’Angolo di Rosino, a Trattoria in the charming hill top town of Novello where my son and I helped prepare the lunch menu consisting of potato gnocchi, a bell pepper flan with anchovy cream, and a traditional dish of Piemonte called Zucchini in Carpione. The recipe for gnocchi was straightforward but I did learn from Chef Luca the importance of boiling the potatoes with the skins on and peeling them while hot to prevent the potatoes from absorbing too much water. I’m not a huge flan fan but I enjoyed this savory flan , especially because anything with anchovies in it is bound to be good. Again the recipe was straightforward, sautéing the peppers in oil, making a béchamel, heating the cream and anchovies, putting that all together and adding eggs and then beating with a hand blender. The batter was then poured into ramekins and baked. The most interesting and unusual dish was the Carpione. This is a dish the vineyard workers would take with them for lunch—the vinegar marinade was a convenient way of preserving chicken. The dish consists of gently fried, sliced zucchini and thinly sliced chicken layered in a dish and covered with a marinade of gently cooked sage and garlic, and equal parts white wine, water and vinegar. The marinade is brought to a boil, then allowed to cool, and is then strained to cover the meat and zucchini. As I mentioned in my post on Piemonte wines, Piemonte doesn’t get the publicity of some of the other regions in Italy so it’s a bit off the tourist track. There are still redoubts of old world charm here worth visiting before everyone finds out about it. Our visits to wineries, the artisan cheesemaker and the cooking class were put together by Girls Gotta Drink, locals in the area, who did a great job of showing us around Barolo and d’Alba.